United National Congress » Explain Mr Prime Minister! Prime Minister Keith Rowley needs to explain his reasons for appointing Foreign Affairs Minister, Dennis Moses as Minister of State in the Ministry of National Security. Does the goodly Minister Moses have a background and or the requisite credentials to be placed in such an important Ministry? Did implications on our foreign affairs because of the fact that Trinidad and Tobago is seen as a major transshipment point incite and his move to deal with the drug trade? 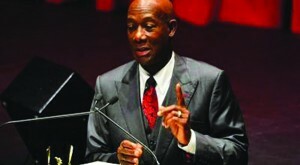 Or was Rowley following in the footsteps of previous PNM Prime Minister Patrick Manning when he said all that was needed to run a Ministry was “a level head and common sense” to justify appointing his wife as Minister of Education? The Prime Minister and his cabinet continue to insult the intelligence of the people of our country by staying very silent on a lot of important matters, this debacle being the latest. Therefore as MP for Couva North and a Member of the Opposition, I ask on behalf of the people of this country for the Prime Minister to explain this appointment in light of crime being the number one concern for all.